Function: Increase / decrease / left / right / front / back / left side fly/ right side fly / 360°rotation / a key return / headless mode / memory function. Lightweight cell with great durability. 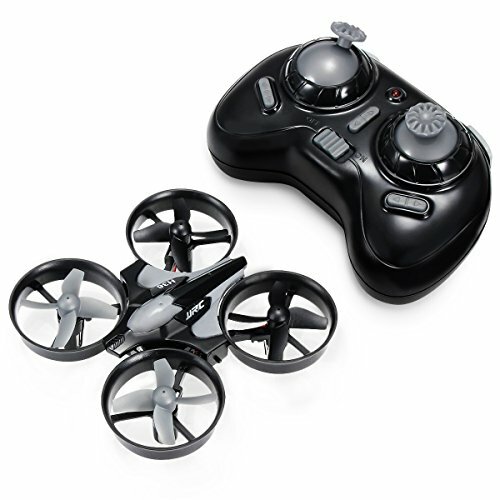 360 DEGREE ROLLING:REALACC H36 Mini Quadcopter cool 3D rolling special effects surprise all people. ONE-KEY RETURN :When starting the function of one-key returning without other operations, the mini drone aircraft will automatically come back to you. 6-AXIS FLIGHT CONTROL SYSTEM:Based on 2.4 GHz remote control technology, so it can be controlled more precisely, its remote control distance is father, and the response is more sensitive. HIGH/LOW SPEED-SHIFT: You can choose the gears according to your operation proficiency. STEPS TO MATCH CODE: 1. Turn on the quadcopter then turn on the controller; 2. Push the throttle(left lever) to the top , and then pull it down; 3. When you hear a "Beep", which means the connection was set up successfully, and then you can start to fly your drone. If you have any questions about this product by REALACC, contact us by completing and submitting the form below. If you are looking for a specif part number, please include it with your message.